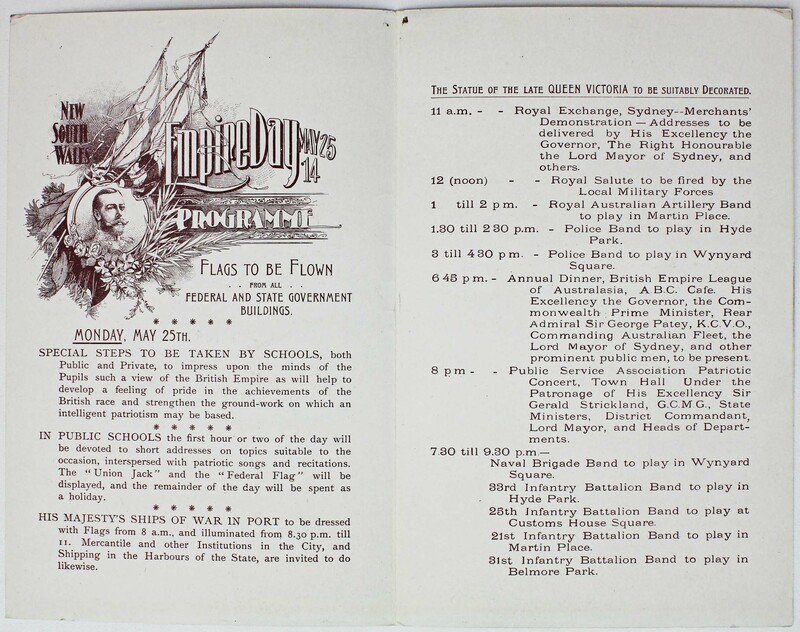 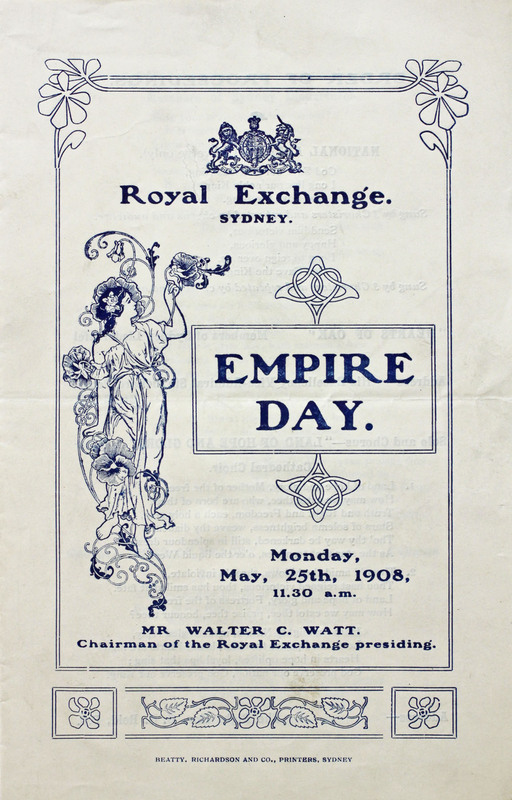 A chance find while searching the series Premier's Department, Unregistered Papers and Pamphlets [4/6251] (NRS 12172) revealed a bundle of records containing Empire Day programs for several years between 1905-1915. 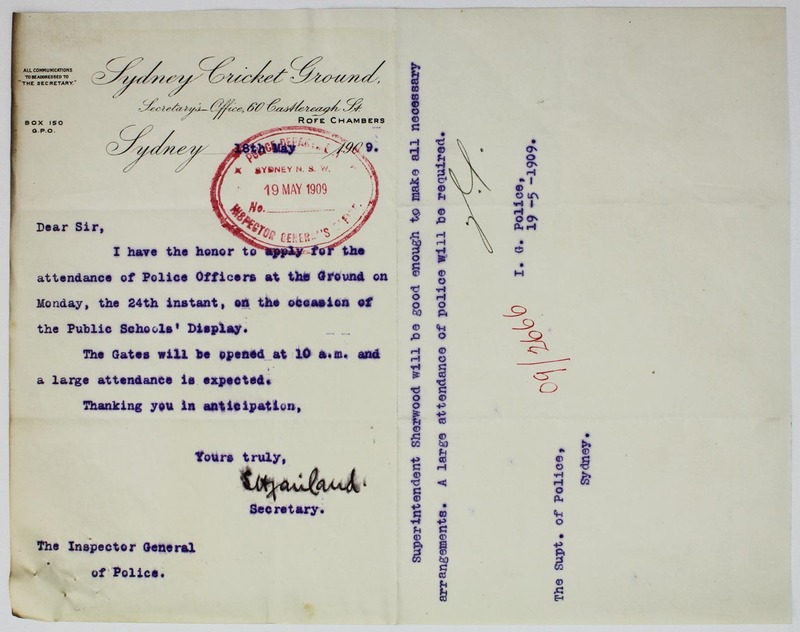 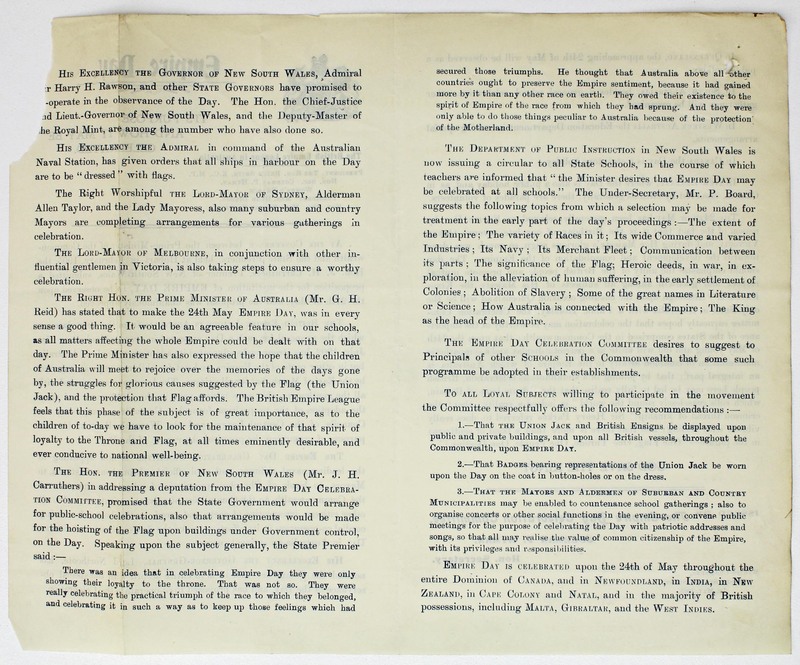 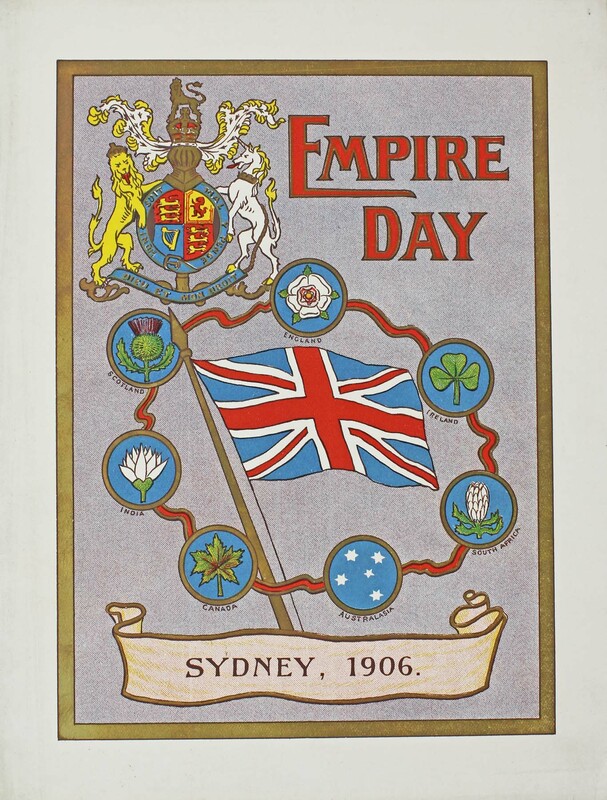 Along with the colour programs the bundle contained correspondence relating to Empire Day 1906. 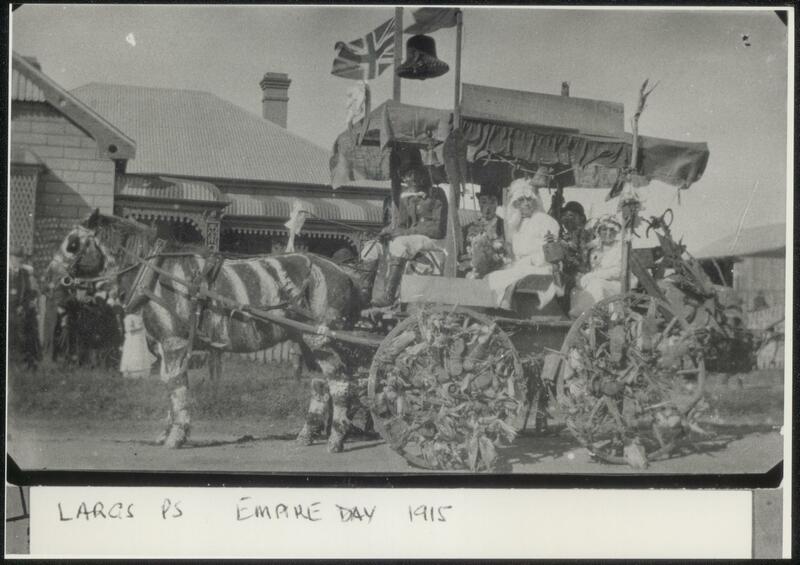 It raised the question for State Archives staff: what was Empire Day? 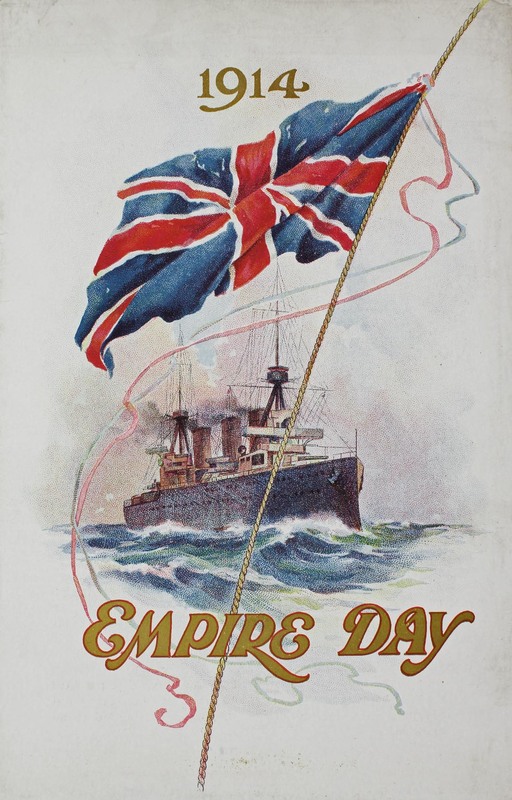 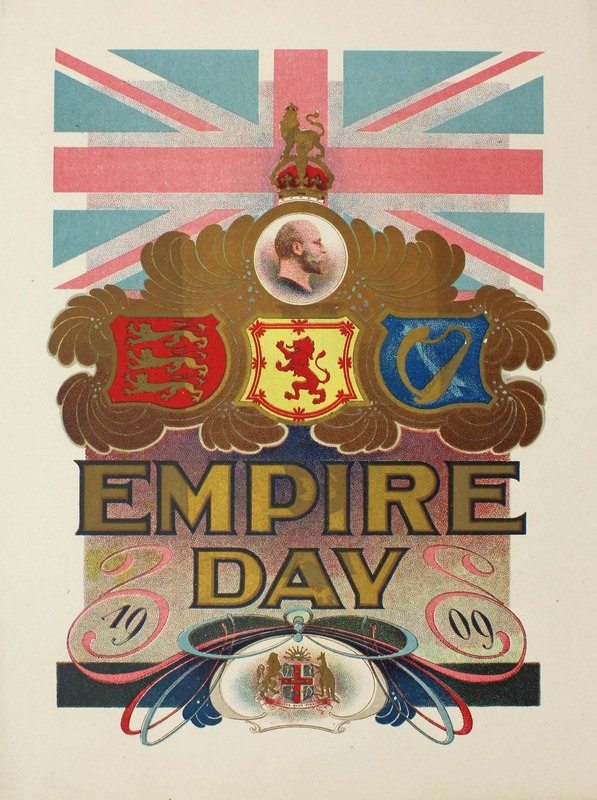 A quick search of a reference publication - The Oxford Companion to Australian History - tells us that Empire Day was held on 24 May and honoured the British Empire. 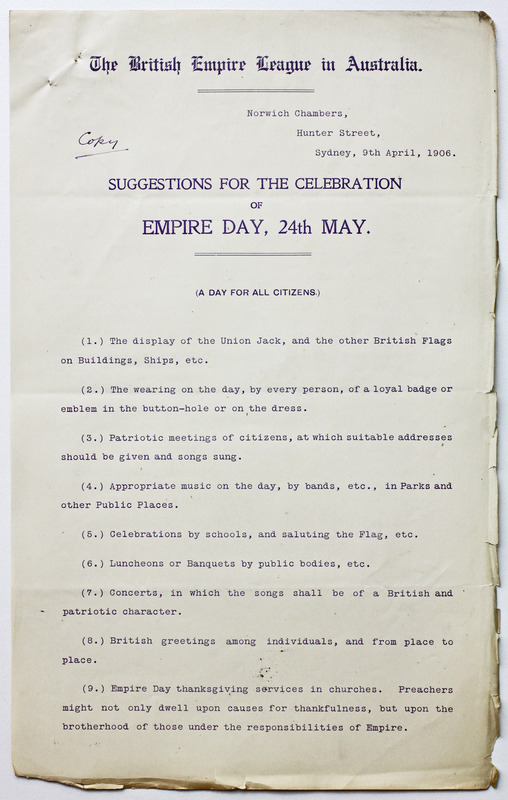 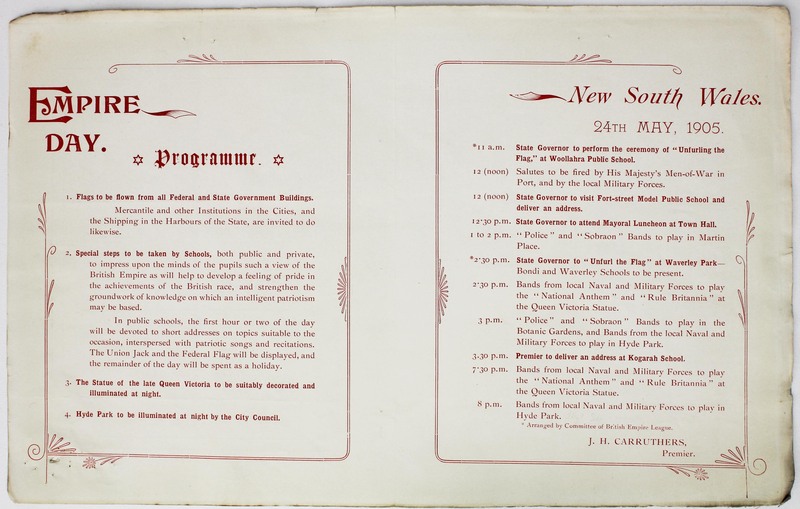 From 1905, a range of patriotic activities across Australia were performed on this day. 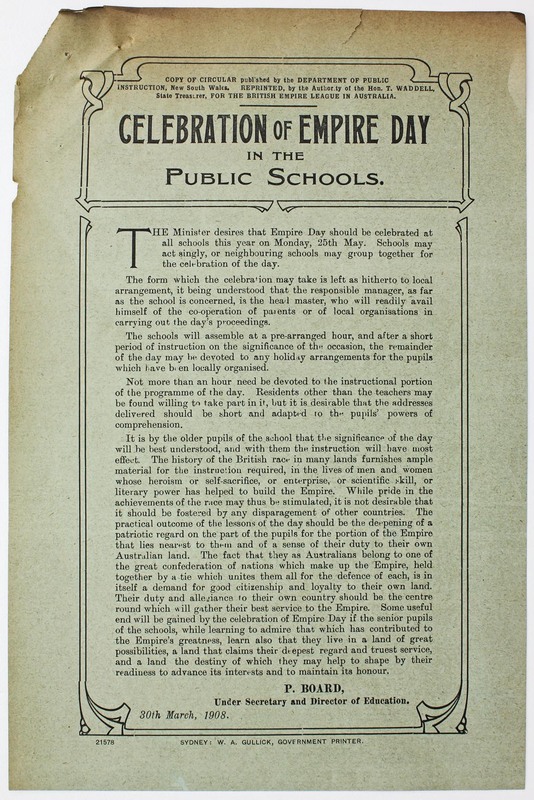 There was a focus on schoolchildren, who were given a half-holiday at the conclusion of celebratory activities, and the occasion was often highlighted with fireworks in the evening. 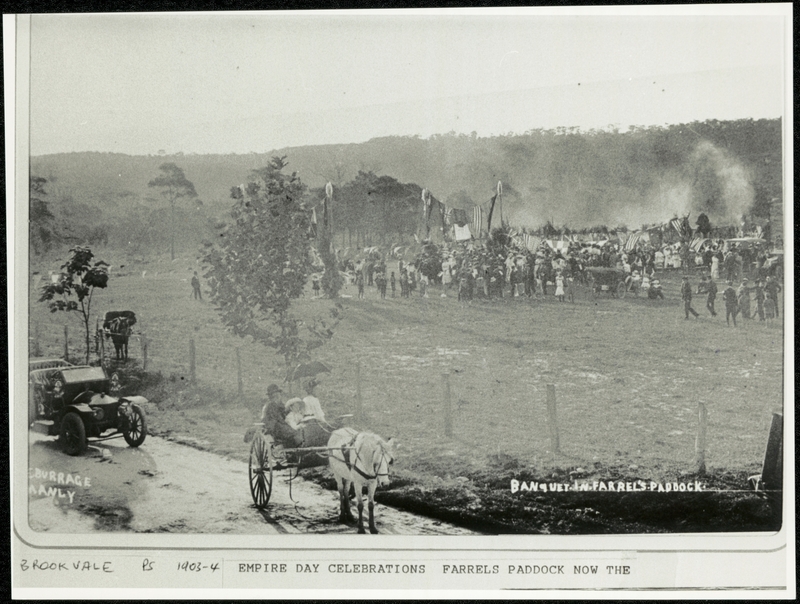 What does our collection reveal about this vanished celebration? 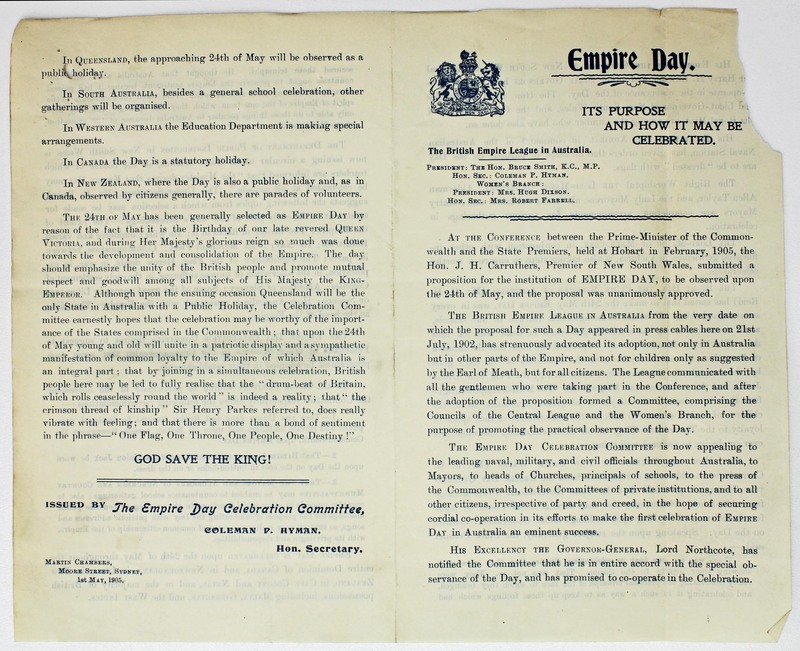 The records provide a wealth of information on the importance once attached to celebrating Empire Day. 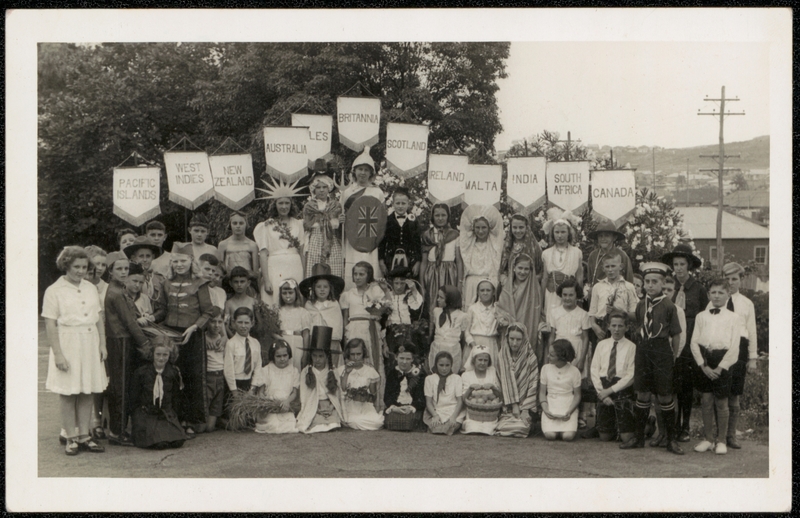 These examples below are from NRS 15051 and show school children celebrating the day in different ways, including the wearing of costumes, two pageants, and a banquet. 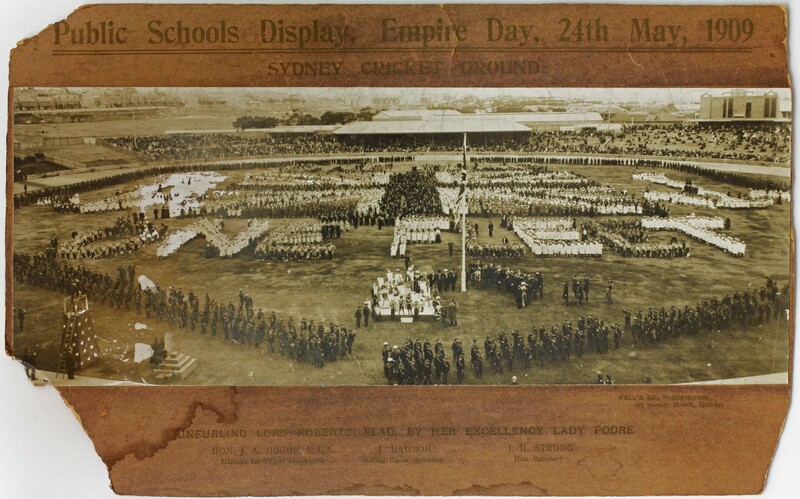 Included is a fantastic image of large a display, with school children forming a field-sized British flag in 1909. 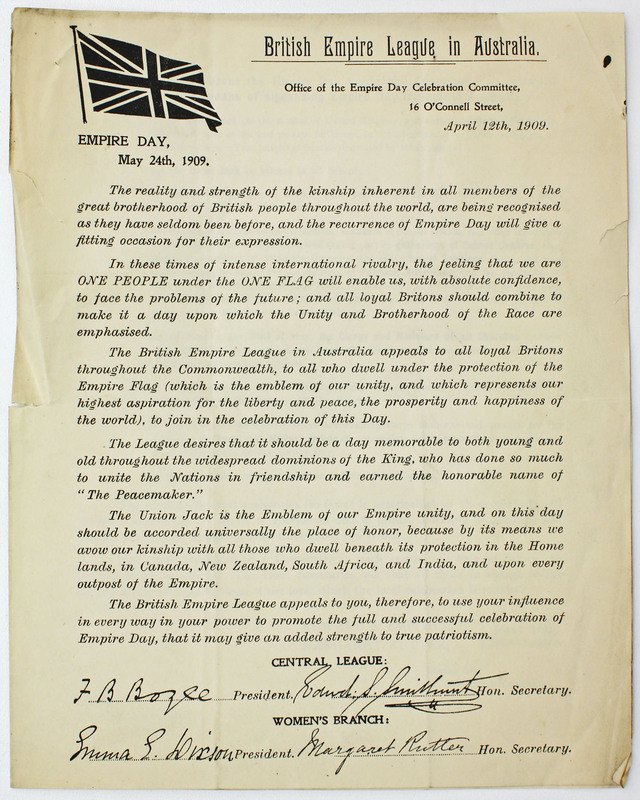 Empire Day became Commonwealth Day between 1958-1959. 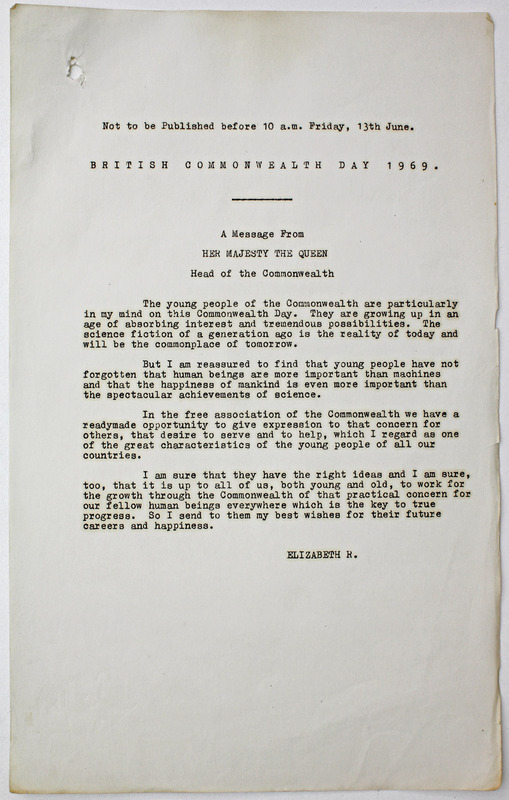 Lastly, after further searching for ‘Commonwealth Day’, we found the following interesting record. 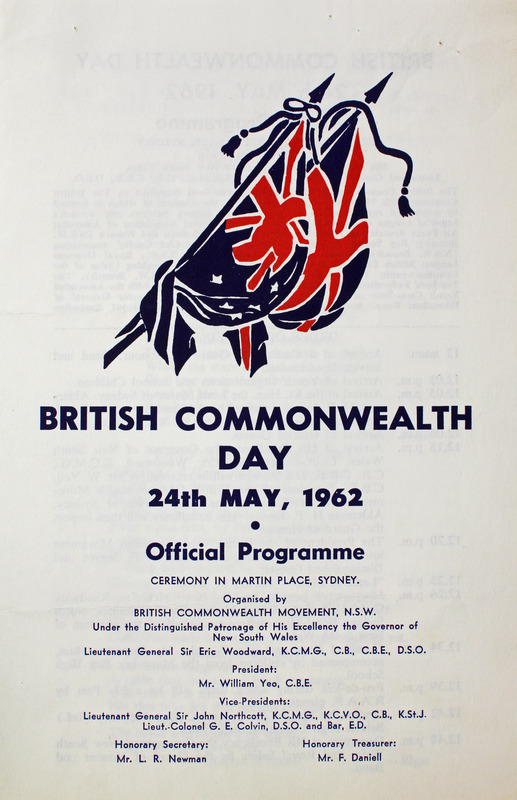 Commonwealth Day activities: British Commonwealth Day program, 1962 (cover). 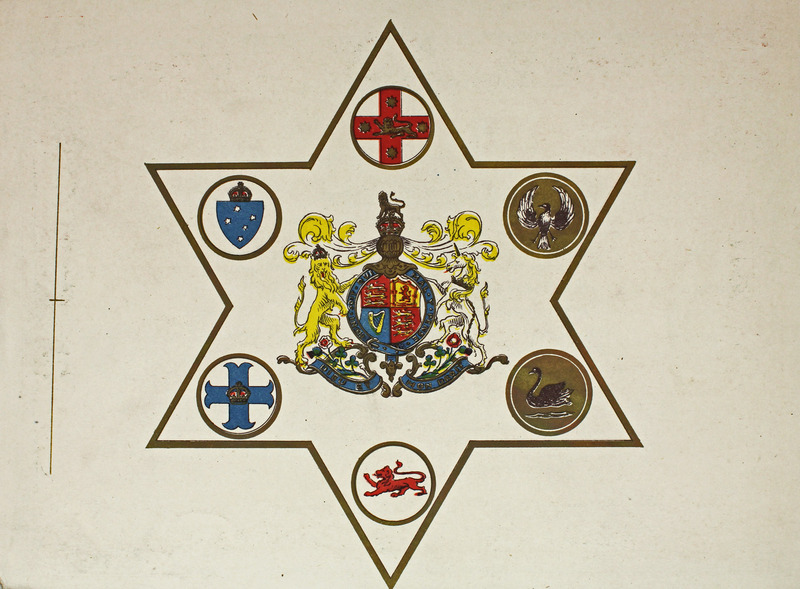 From NRS 3830 67/21251 pt1. 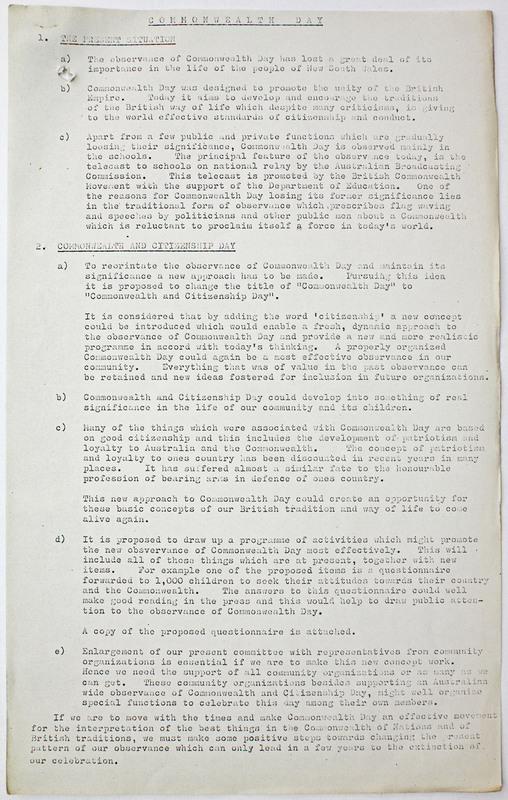 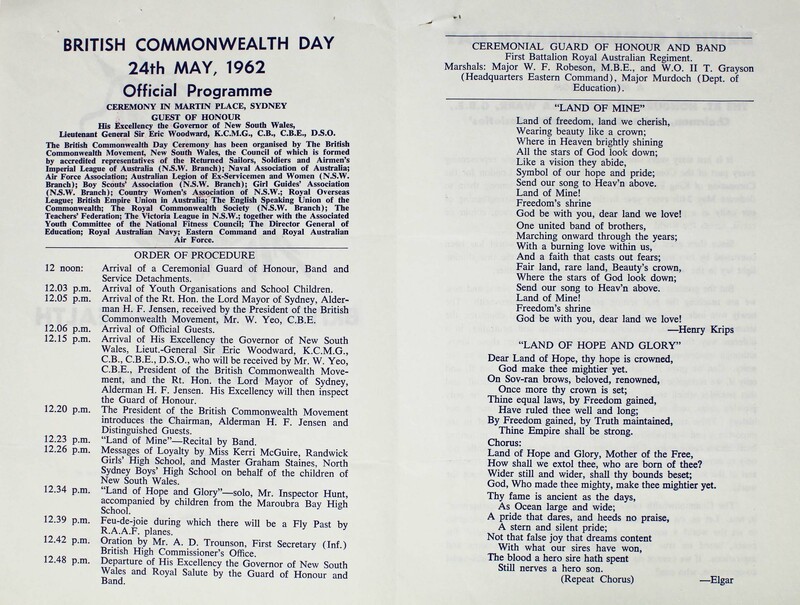 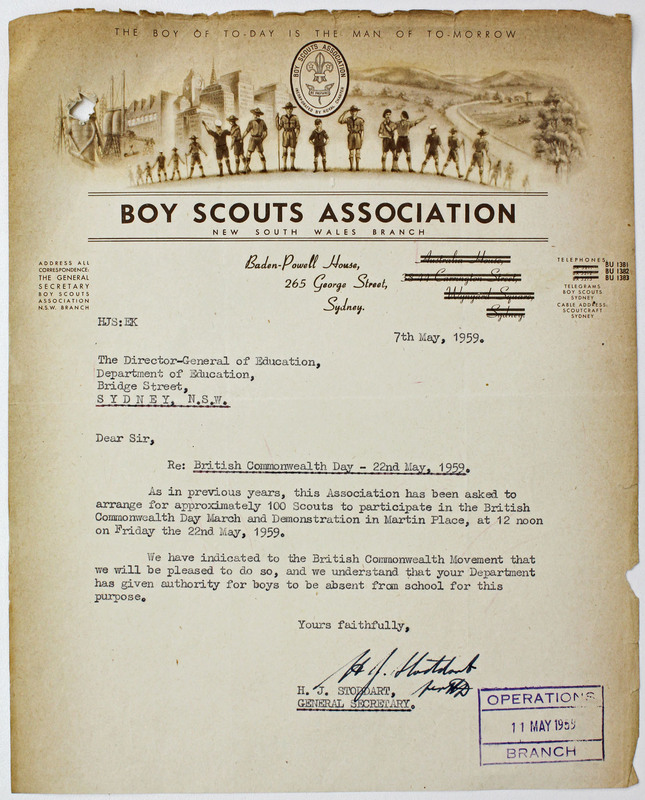 Commonwealth Day activities: British Commonwealth Day program, 1962 (inner). 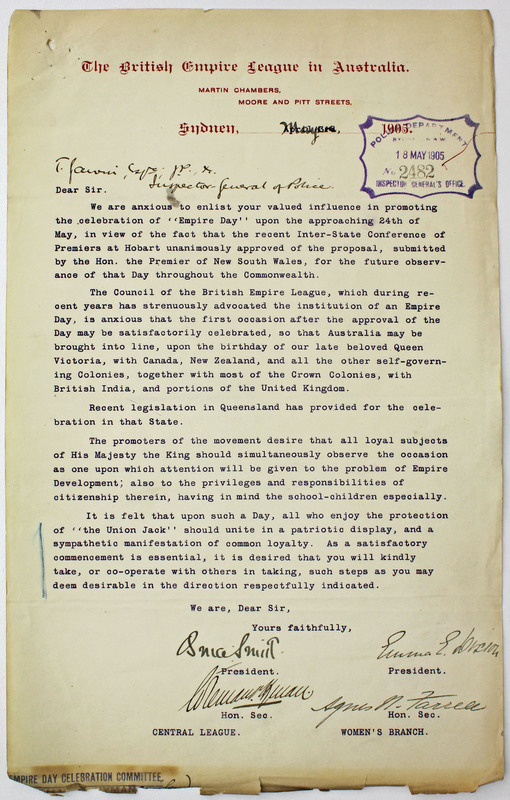 From NRS 3830 67/21251 pt1. 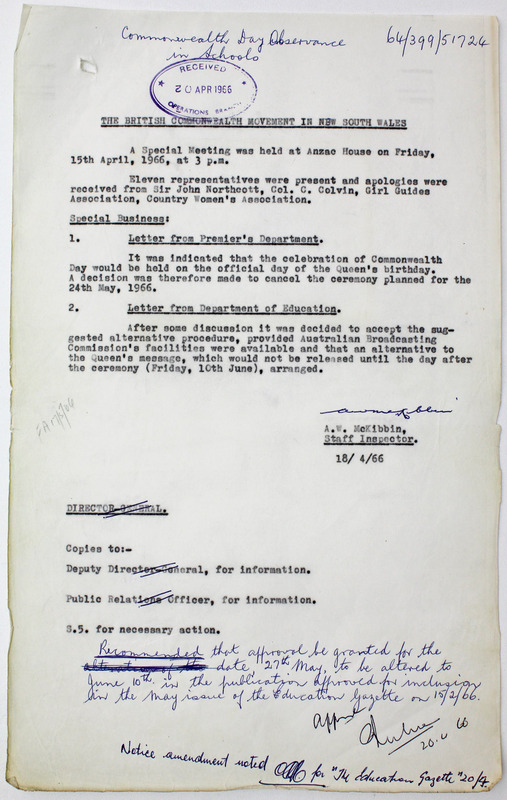 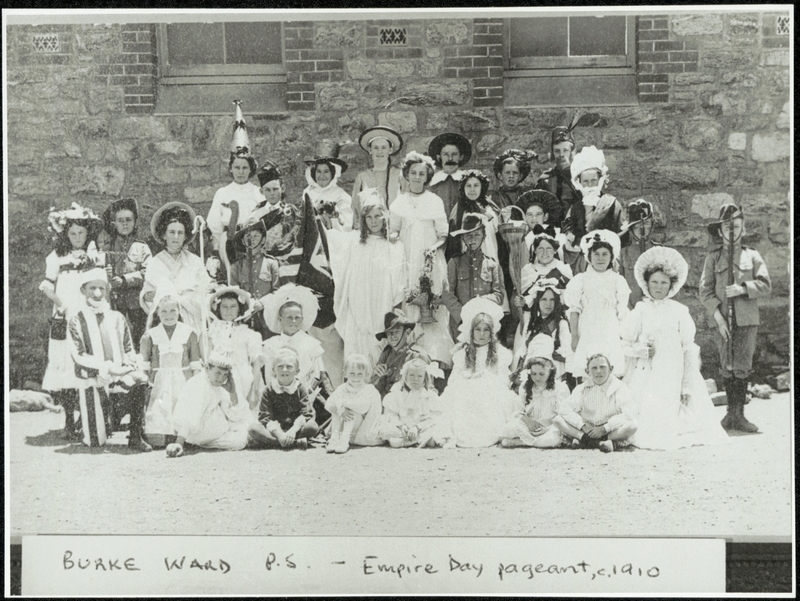 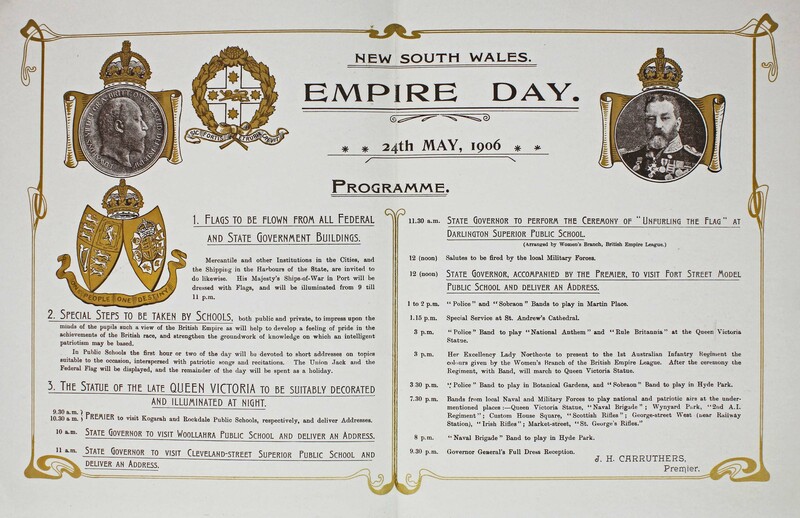 In searching through the State archives, we now know a lot more about what Empire Day was, its history, and how it was celebrated in New South Wales!